Clean Up City of St. Augustine, Florida: IN HAEC VERBA: The Madness of King George -- the taxpayers subsidize this dumb 'ole newsletter from COSA ex-Mayor George Gardner, dissing dissenters! 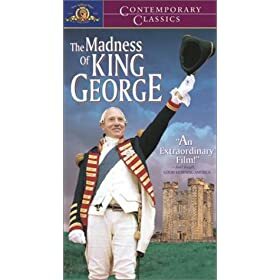 IN HAEC VERBA: The Madness of King George -- the taxpayers subsidize this dumb 'ole newsletter from COSA ex-Mayor George Gardner, dissing dissenters! Additional time and a free ParkNow card were added to the public comment period at Monday's City Commission meeting to encourage more positive comments, and the effort mostly succeeded. Two of three regular city critics found good things to say, but a third remained critical - and was criticized. Monday's regular commission meeting was one of options, including extended public comment, meters or zone rate systems for cab services, and an early retirement incentive program for city employees. In other matters, commission votes were final, approving a 30-year franchise extension with Florida Power and Light, a 10-year tax exemption period for historic property improvements, installation of conduit for future under-lighting of the Bridge of Lions, and a consultant contract for our city's 450th anniversary. Perhaps most positive was recognition of historian David Nolan with the Governor's Points of Light Award, for his volunteer service to our city. St. Augustine Founder Pedro Menéndez de Avilés will be there in spirit Saturday, February 28, as we celebrate his 490th birthday with a 16th century gala in the halls of Lightner Museum. The dinner dance is $150 for members, $175 for non-members of the St. Augustine Historic Trust. Catherine Culver, 904-825-5088, has information. Mayor Joe Boles opened the regular public comment period with some carrots, and two of three regular critics responded with positive comments - Dwight Hines praising the work of 40th ACCORD and school science programs, and B.J. Kaladi, her voice quivering: "I appreciate the opportunity as a U.S. citizen to speak in public forums and to work for the betterment of our community." But Ed Slavin's comments about "environmental racism" and Dr. Martin Luther King Jr.'s comment in 1964 that St. Augustine was a lawless city drew the ire of both the mayor and Vice Mayor Errol Jones. "I think there are people in this room," Boles said, "who are more worthy to utter the name of Martin Luther King, Jr., that were here in this community and have been able to enjoy a great renaissance, movement, and be able to present something positive, than to continue to wallow in the past with the vitriolic tone that Mr. Slavin brought to the table, and it embarrasses me as mayor. ... I do not consider him your spokesperson in any way." The vice mayor added, "I as one African-American have been bashed many times, called other names many times, by some of the people who are now talking about my civil rights, and I would appreciate it if they'd treat this African-American with a little more respect than they do, because I treat you that way." Following public hearings, both a 30-year franchise extension with Florida Power and Light and a 10-year tax exemption period for historic property improvements won commission approval. Commissioner Leanna Freeman, earlier concerned about the extension, said, "I'm satisfied our staff has done a thorough job investigating, and I feel good about it." Countering B. J. Kaladi's concern with losing tax revenue through a ten-year exemption on historic property improvements, Mayor Boles said, "In fact, we're begging people to take advantage of it." A five-year tax exemption in place for years has drawn little public interest. A proposed cell tower ordinance was moved to public hearing March 9, while a cell tower applicant, appealing a denial, moved closer to agreement on another location and asked that its appeal be tabled until the same March meeting. Commissioners approved an alternative to our city's zone system for cab fares, allowing the five companies operating here to use either zone or a meter system, with clear signage both on and in their cabs. Commissioner Don Crichlow noted citizens could be confused, but one cab driver replied, "Folks who use cabs regularly know which system works best for them." Additional cab parking spaces were rejected following a staff study of current cab stand use. The University of Florida (UF) unfolds its "Strategy to Reality: Implementing the St. Augustine Historic Area Strategic Plan," Thursday, February 26, from 1-5:30 in a public forum at the St. Augustine Art Association. The ambitious plan, from a new $10 million interpretive center and $27 million in historic property repairs to streamlined visitor orientation and movement, stems from our state legislature's authorization that UF take over management of 34 state-owned historic properties here. "We have invited distinguished speakers to address themes of the Strategic Plan including economic development/tourism, educational programming, and building successful partnerships," writes Linda B. Dixon, UF Assistant Director of Facilities Planning. "Together, we will learn from heritage tourism destinations such as Gettysburg, Jamestown, and Williamsburg so that we can apply their 'lessons learned' to St. Augustine." Pedro Menendez would have been familiar with night excursions by torchlight, and the experience can be shared Saturday, February 28 with the final tours of the season at Fort Matanzas. Tour times 6:00, 6:45, 7:30 and 8:15 p.m. Tickets are $7 (children under age 3 are free of charge). Contact National Park Service Ranger Chris Leverett, 904-471-0116. More presenters than congregation will gather March 7 at 7 p.m. in the continuing effort to save the historic Trinity United Methodist Church on Bridge Street. Five speakers and 17 performances are on the evening program to raise funds for arguably Florida's oldest Methodist congregation (1821) and today perhaps its smallest (15). The challenge - begun when Pastor Innzia Melton's son, Gary Thompson, put out a plea for help - was picked up by Gale Burnick and Taffy Rook of the Unitarian-Universalist Fellowship. While Taffy and the Fellowship forge a great evening, Gale is in the trenches with fund-raising and grant-writing. Among the speakers: historian David Nolan and Vice Mayor Errol Jones; among the performances: a drum circle, Tale-Telling, poetry, and Prayer Dancing. Contact Taffy 461-9788, and Gale to assist. An Orlando-based treasure hunter believes he's found the remains of a Spanish treasure galleon some 14 miles east of Indian River County, Florida Today reports. Dr. Sam, director of our Lighthouse Archaeological Maritime Program (LAMP), would have preferred a location closer to our nation's oldest port city. Indialantic shipwreck historian Robert Marx said he reviewed salvaged pieces and believes it's the Espiritu Santo el Mayor, a 480-ton galleon that sank in a storm in 1626. Marx said the ship took 1 million pesos worth of valuables and 250 crew members down with her in the storm. Other ships in the fleet were able to save 50 crew members. The bulk of the galleon lies under ocean sands. The St. Augustine Report is published by the Department of Public Affairs of the City of St. Augustine each Tuesday and on each Friday prior to regular City Commission meetings. The Report is written and distributed by George Gardner, former St. Augustine Mayor (2002-2006) and Commissioner (2006-2008) and a longtime newspaper reporter and editor. Contact The Report by email at gardner@aug.com, by phone at 904.825.3648, or by mail at 57 Fullerwood Drive, St. Augustine, FL 32084.